Chino Valley, Arizona to/from Phoenix Sky Harbor International Airport (PHX). Great Flat Rates! More often than not, our town car flat rate fares to and from Chino Valley and the Phoenix Airport (PHX) are less than taxis charge for the same service. So, why travel in a taxi when you can travel to the airport in style and comfort in any one of our luxury vehicles. >> VIEW OUR RATES. A Luxurious Vehicle Fleet. Whether you are a single executive, traveling couple or a large group, Roadrunner has the right vehicle for you. Depending on the amount of passengers, Roadrunner Limousine’s fleet includes town cars, limousines, SUV’s, passenger vans and even 30+ passenger coaches. All our vehicles are clean, comfortable, private late model luxury vehicles equipped with GPS Navigation systems. 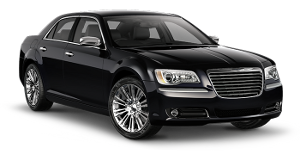 So, why take a bumpy taxi from Chino Valley to PHX when a luxury vehicle is available at Roadrunner Limousine? Roadrunner Limousine, serving Chino Valley and Phoenix, Arizona, provides exceptional service for its executive clients. Our executive guests expect reliable, convenient and comfortable transportation to or from Chino Valley and the Phoenix Sky Harbor International Airport. As important as it is to provide our executive passenger with optimum service, working effectively with their executive assistants and travel coordinators makes everyone’s job easier. For them, we have a state-of-the-art online booking and account monitoring system accompanied by a highly trained staff to help develop and execute the most sophisticated travel plans that any busy executive or corporate group might need. First Time Coming to Chino Valley, Arizona – Did You Know? Chino Valley is the site of the first Territorial Capital of Arizona. The capital moved to Prescott, 15 miles away, in 1864. U.S. Army Cavalry Lt. Amiel W. Whipple, while traveling through the area in 1854, gave the community its name. “Chino” is the Mexican name for the abundant curly grama grass growing in the area. In 1895, a narrow gauge branch of the United Verde and Pacific Railroad to Jerome, joining the Prescott and Arizona Central, was completed, and Jerome Junction was established. In 1923, the activities of Jerome Junction were absorbed by Chino Valley. The town of Chino Valley was incorporated in 1970. The town is in north central Arizona, on state Highway 89, 15 miles north of Prescott and 35 miles south of Ash Fork, which is on Interstate 40. It is at an elevation of 4,750 feet. The Chino Valley School District presently operates four school facilities in the Town of Chino Valley. Del Rio Elementary and Territorial Elementary house the District’s 1,200 Pre-K through Fifth Grade students, equally divided between the schools. Heritage Middle School educates sixth through eighth graders in the district. Two County Teachers of the Year and Two Channel 3 Silver Apple Teacher award winners are on the HMS faculty. Chino Valley High School partners with Yavapai College Campus for Agribusiness, Science & Technology, located in Chino Valley, where seniors may jointly enroll in CVHS and Yavapai for advanced study. The school’s Aquaculture & Biotech Lab, Greenhouse and Livestock Facilities support the FFA program. CVHS houses five computer lab environments for students plus programs in music and art, and an FBLA program, along with the full component of extracurricular activities and sports programs. The District operates under the supervision of a five member Governing Board and one District Superintendent. The District presently employs 7 administrators and 6 directors on a full-time basis, 158 certified teachers and 190 full and part-time classified employees. Chino Valley has two charter schools that operate in the town. Mingus Springs is a kindergarten – 8th grade school that services over 180 students. Excel Education Centers is a 6th grade – 12th grade school that services over 50 students. Chino Valley also has a campus of Yavapai College.